Culturally navigate our seemingly ordered city with the Melbourne Poetry Map: Audio Graffiti. Consisting of six free self-guided tours unlike any you've done before, you will be let in to the worlds of poets who have written pieces on their ruminations of notable locations in Melbourne. Armed with nothing but your iPod, you'll be treated to a historical and creative journey. The Long Story is a surprisingly short walk, contrary to its name. Starting on Spring Street, near where it is met by Flinders Street, you are first privy to the musings of the statue of Scottish poet Robert Burns to that of Australian poet and politician Lindsay Gordon. Continuing down Spring Street to the Windsor Hotel, you'll be treated to a short rhyming piece on the supposed happenings within its walls and a defence of Australia's much derided culture. The next poem takes place at Parliament House- but rather than being about a stately politician, it reveals a bride's feelings about the significance of wedding photos as she and her new husband are photographed on the steps. With the steps at Parliament House being a popular location for wedding photos, you may enjoy the coincidence of seeing such a scene as you listen to the poem. Turning into Bourke Street, you listen to a nostalgic piece about the dilapidated Job Warehouse, which still stands there today. Finally, in a dank laneway not far from Bourke Street, the final poem is told from the perspective of a member of a would-be 1960s rock band posing for photos. The next tour is Scribes and Scribblers, which directs you to four significant city locations. Begin at the graffiti covered Hosier Lane, told from the perspective of a cigarette smoking unicorn painted on the wall, guessing at its demise. However, it's not concerned about its final days. "Dude, I'm a unicorn, I don't know how to worry," it says. Next, you journey to poetry bookshop Collected Works, where a poem fittingly tells of the day-to-day life inside the quaint store. City Square is the next stop, as you're told the sad story of a love which managed to escape. End on an adventurous note of fresh graffiti being sprayed at Union Lane. 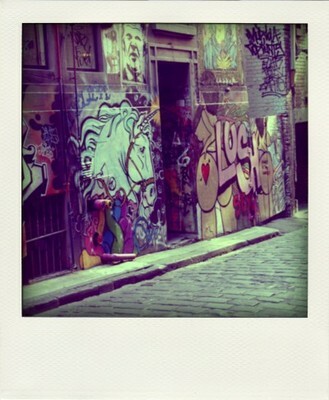 The smoking unicorn of Hosier Lane. Go on a clandestine adventure with the Underground tour, which takes you first to the Degraves Street Subway in the dark of the night. The characters of the poem are borrowed from kitsch store Corky Saint Clair, figurines becoming alive by night like something out of a children's book. Then walk down to the dank Flinders Street underpass to Southbank, where you listen to a description of the area imbued with dry wit. The next poem is more of an a capella song, quick-paced as it points out nearby landmarks. Then, the Immigration Museum becomes the backdrop for musings on multicultralism, written by an Australian dwelling poet of West Indian descent. 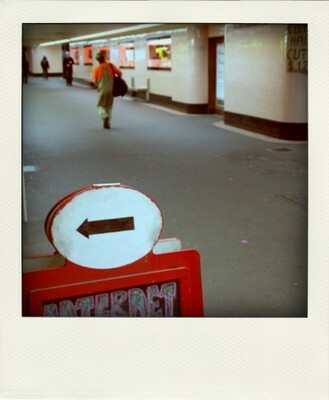 The underground Degraves Street Subway. Writings on the Wall begins at the Wheeler Centre, that hub of ideas and literature. The Chinese Museum discussing how to represent one's Chinese and Australian identity simultaneously- slash or dash? A disjointed, blokey poem is related in a pub on the corner of Bourke and Russell Streets, followed by wistful 1940s musings about the end of the war at a former telephone exchange. End Writings on the Wall sitting on the purse on Bourke Street, hearing about love and break-ups with women, and eternal fondness for Melbourne. Nighthawking is a tour of Melbourne's hottest nightspots- from another era. Begin at the legendary Honkytonks in its heyday, then continue along to the luxurious Purple Emerald Lounge Bar to accompany a man on his well-earned drunken sojourn. Then it's time to experience a busker's unimaginably terrible performance- hopefully you won't have the bad luck to hear such a busker on your journey there. The Rooftop Bar and Cinema is the location for the final poem, in which Melbourne is derided for not being all that the poet had hoped for in her younger years. The last tour of the Poetry Map series is The Stately Strut, a long walk beginning from the Queen Victoria market, with its much-loved jam doughnuts. Take a long stroll to the state library lawns, populated with the city teenagers of a wistful poem. Not far from there is the next poem, at the Queen Victoria Women's Trust Centre. You're embraced by the poet like a friend, excitedly chatting to you about the architecture, food, and the women's hospital. The very last poem, the shortest of all the poems you've listened to on your travels in Melbourne, conjures a subjective memory in Chinatown. 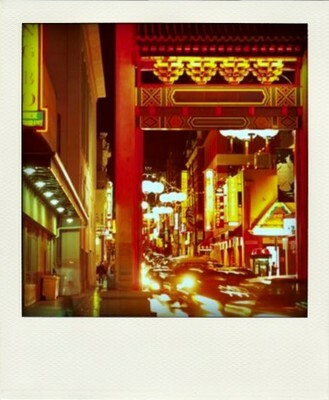 The final poem is set at Chinatown. Maps in PDF format and audio poems in MP3 format are available to download from the Melbourne Poetry Map website. Each walk must be downloaded separately from its own page. Make sure your MP3 player has plenty of battery power left before you leave- you wouldn't want it to cut out mid-poem. Each tour can be done in about half an hour. Why? For a different perspective on the city. Where: Various locations in the CBD.